"Souls are eternally connected, and when I sing I become this connection. That's a phrase that was inspired by my stay in Egypt. 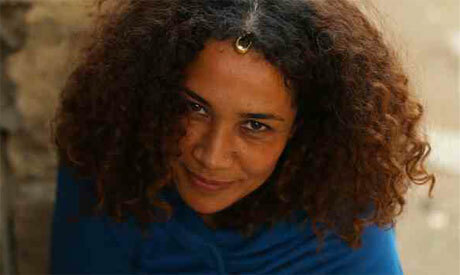 Here the souls of things are very present," Ghalia Benali told Ahram Online in her recent interview. The Tunisian singer is not a stranger to Egypt's music scene. She keeps returning to many stages, charming the audiences with her inspiring music fusion of elements from Arabic classical styles, Tunisian folk, jazz, and Indian music. Though raised in Belgium in the francophone environment, Benali sings in Arabic because as she believes "Arabic is originally the language of chemistry: it's magical, you can see the magic and feel it, for Arabic words are multilayered and quite expressive. When singing, I feel the words with all my being." Benali's upcoming concert will take place on Saturday 29 August, at the Cairo's historical Saladin's Citadel, as part of the ongoing Citadel Festival for Music and Singing, organised by the Cairo Opera House. Open air wedding. Governmental children education.republic flat do you accept marry me?